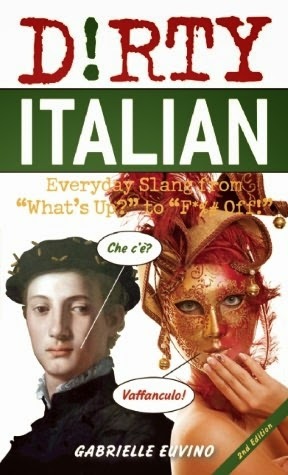 I am learning Italian through Rosetta Stone; which is not a bad program. It's not great, but for the money, it is pretty good. What I love about all language courses is the useless material you receive and open ended questions. They teach you to say things like, "I am lost", "Where is the library", "How do I get to the airport" and other directional based questions. Most of these question phrases are found in level 2 whereas, the ANSWERS are found in level 4. So you can ask questions all day but you will never know the response!! Things like "left", "right", "straight", "east", "west" would have been helpful in the SAME lesson. Here you will find a list of phrases that I have no idea when/if I will ever use them. Translation: I am embarrassed because I forgot my pants. 2. Io studio per fare l'idraulico. 3. Il cane salta oltre il recinto. Translation: The dog jumps over the fence. 4. Ho perso il mio palloncino. Translation: I have lost my balloon. 5. Le balene nuotono nell'oceano. Translation: The whales swim in the ocean. Here you will find a list of phrases that would be way more helpful in my day to day life. 1. Scusa segnora, sei una prostituta? Translation: Excuse me ma'am, are you a prostitute? 2. Dove si trova il negozio di liquori e quanto tardi e aperto fino? Translation: Where is the liquor store and how late is it open till? 3. Ufficiale, non e colpa mia. Translation: Officer, it's not my fault. 4. Dov'e la piscina di Nutella? Translation: Where is the Nutella pool? 5. Cosa vuoi dire non posso fare skateboard nello Vatican?! Pensavo c'e un parco di pattina? Translation: What do you mean I can't skateboard inside the Vatican?! I thought it was a skate park?! The name of my Italian language book will be called Rosetta Pietra. Pietra means stone in Italian. See! You are ALREADY learning and just from the book title, ALONE!!! The Wizarding World of Latin!